The Nazi “Anschluss,” the annexation of Austria by Germany in March 1938, touched off a great tide of refugee migration to Shanghai, and some 17,000 residents of Central Europe streamed to the city from 1938-1939. Most were destitute or nearly so. 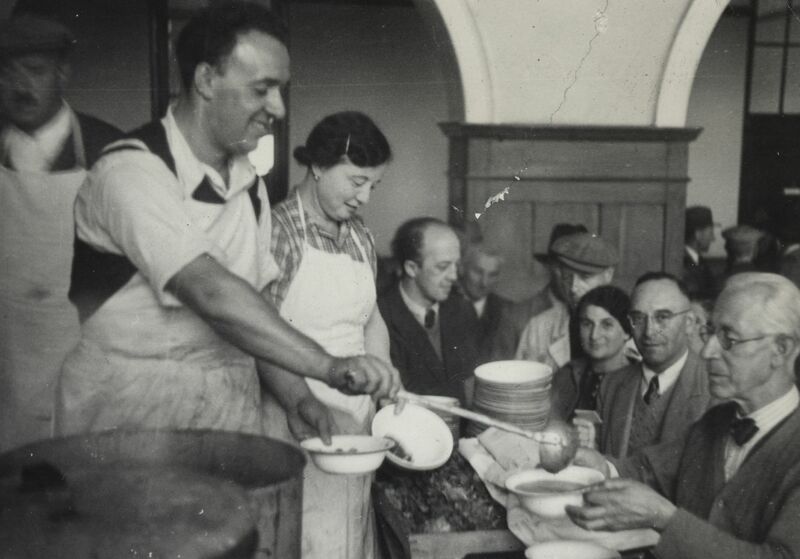 In 1938, the Committee for the Assistance of European Jewish Refugees in Shanghai (CAEJF) was organized, and JDC supplied most of the funds it needed. In 1941, Polish refugees arrived in Shanghai from Lithuania after crossing Siberia. After Pearl Harbor, the Japanese authorities closed Shanghai to further immigration. 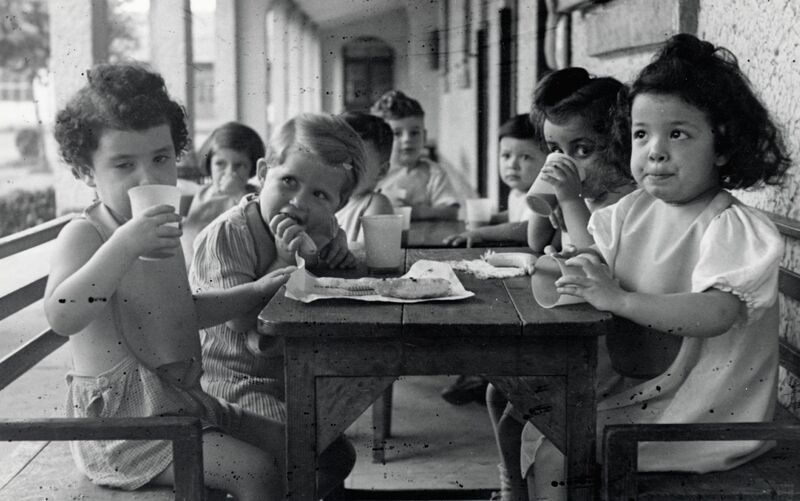 But at the same time, they deported to it most of the Jewish refugees then living in Japan and other Jewish refugees trapped in the Far East while in transit to other countries. All told, some 20,000 refugees lived in Shanghai at the opening of 1942, and 15,000 survived the war with JDC aid. About two-thirds of the refugees came from Austria and Germany, and the others were from Eastern European countries. In May 1941, JDC representative Laura Margolis, arrived in Shanghai to guide refugee aid and emigration activities. A second representative, Manny Siegel, joined her on the eve of Pearl Harbor. Following Pearl Harbor, direct communications with the U.S. were cut off, leaving JDC representatives communicating with their headquarters via third countries. 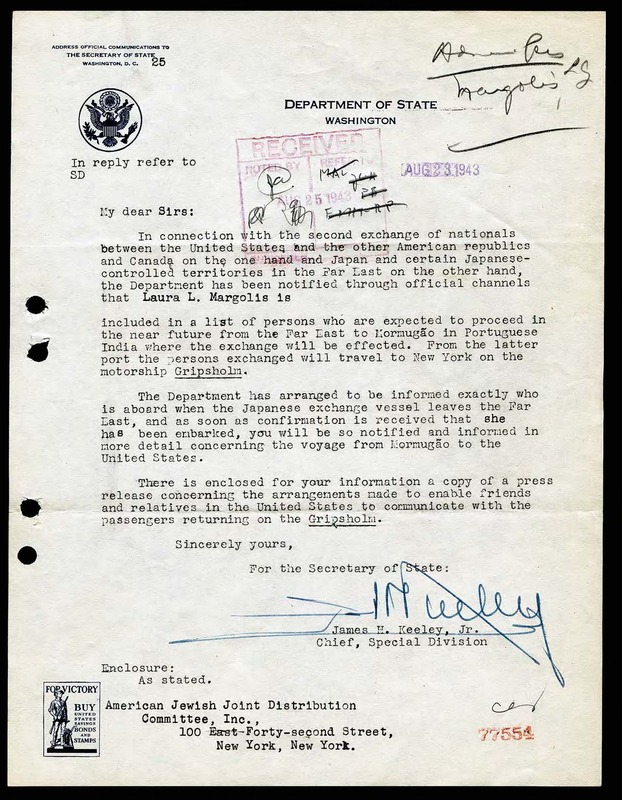 Under the Japanese occupation, Margolis and Siegel were classified as enemy aliens, but were permitted to remain at liberty until February, 1943 when they were interned. By then, they had succeeded in organizing a system of emergency relief with the equipment needed to run steam kitchens capable of feeding 10,000 people per day. 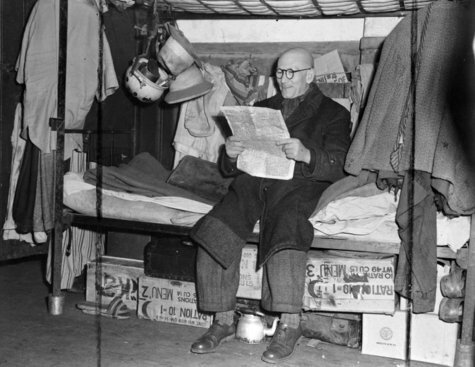 These kitchens kept the refugees alive for the duration of the war. Between 1946, when emigration resumed, and 1953, JDC helped some 16,000 Jews emigrate from China. 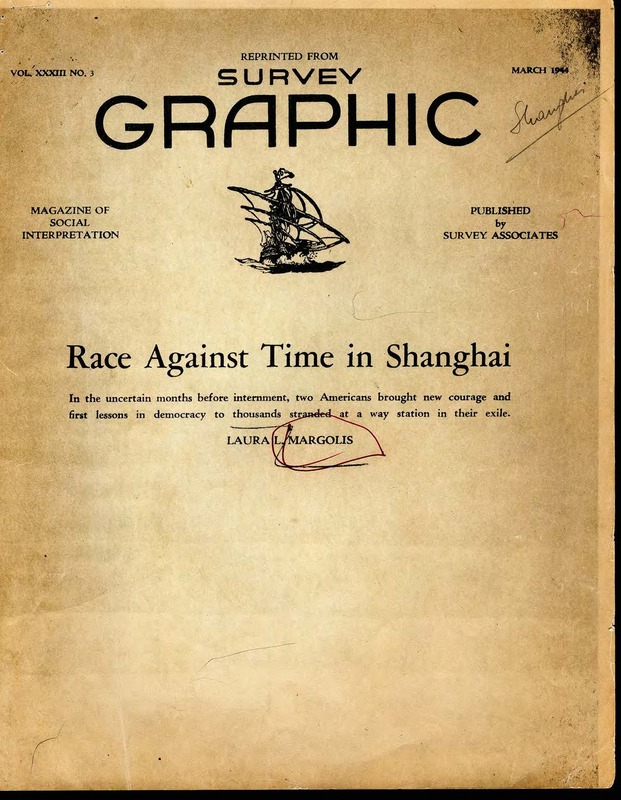 Race Against Time in Shanghai, by Laura L. Margolis, in Survey Graphic, March 1944. 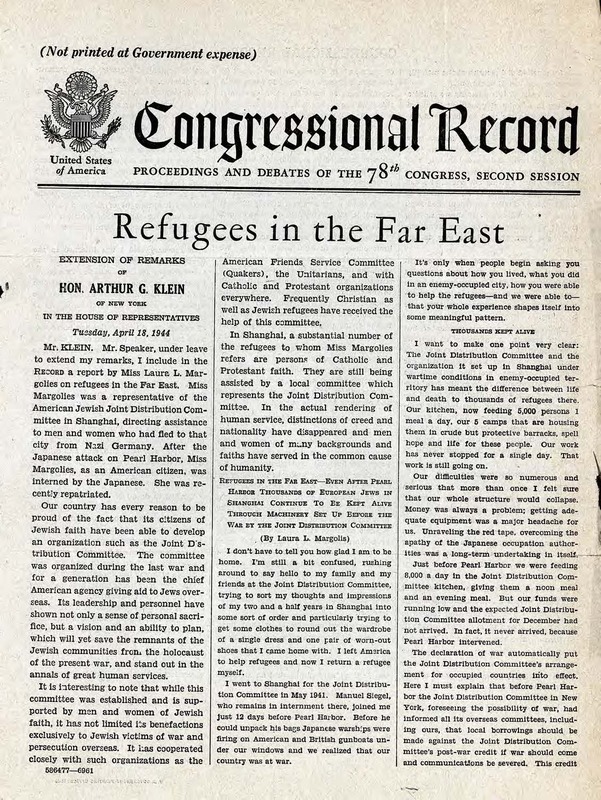 Refugees in the Far East, Congressional Record, April 18, 1944. 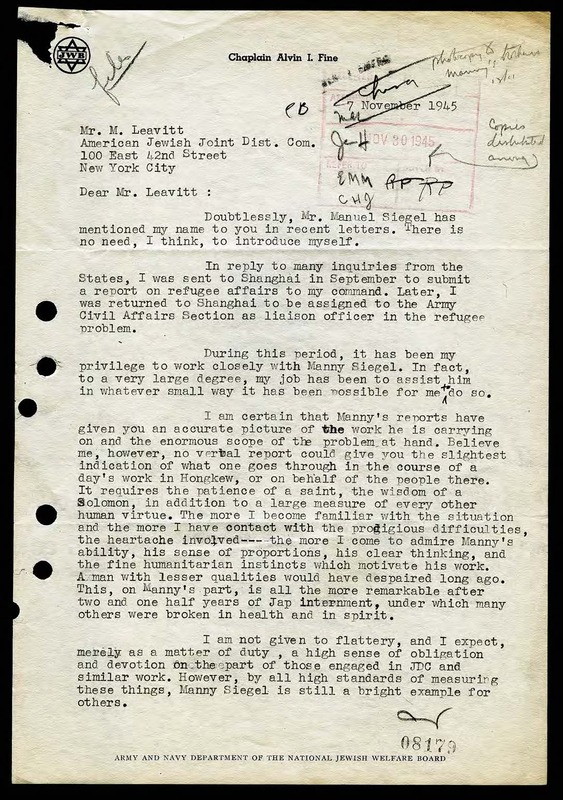 Letter of James H. Keeley, Jr., State Department, Washington, to JDC, August 23, 1943. Remarks by Laura Margolis at Annual Meeting of Members and Directors of NRS (National Refugee Service), January 15, 1944. 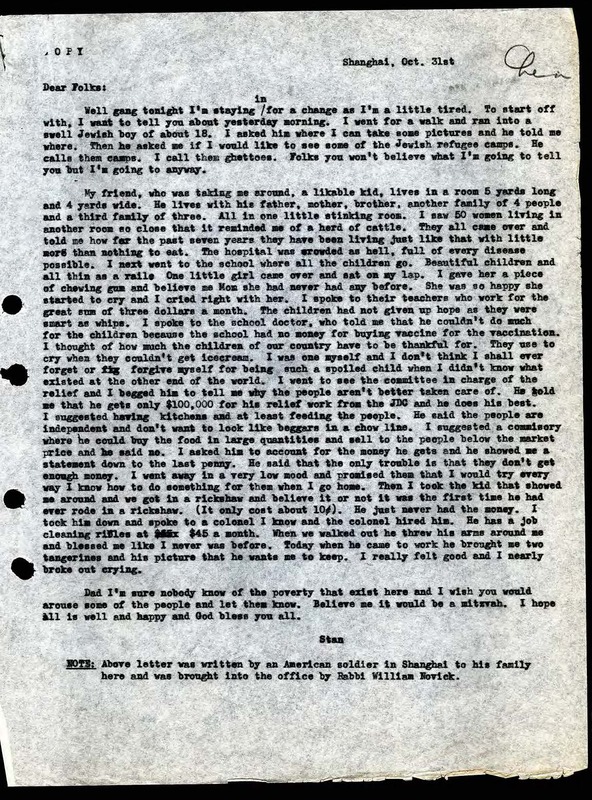 Letter by American soldier in Shanghai to his family back home, Oct. 31, 1945. JDC Shanghai Representative Liberated, in JDC News, August 30, 1945. Letter of Chaplain Alvin I. Fine to Moses Leavitt, JDC, November 7, 1945. 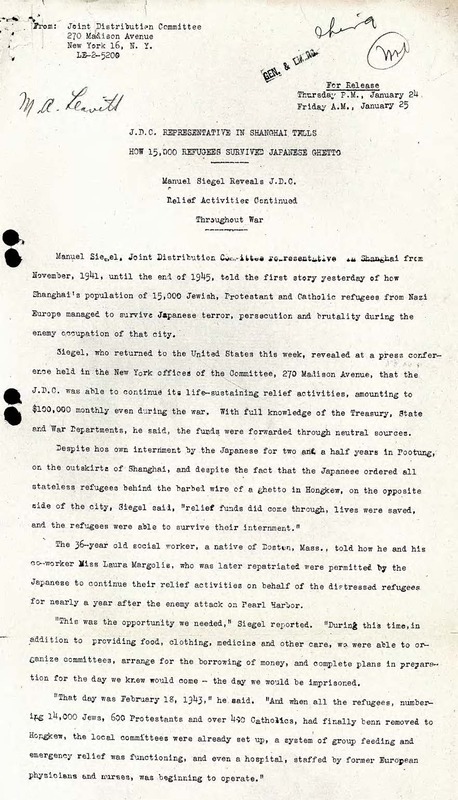 JDC Representative in Shanghai Tells How 15,000 Refugees Survived Japanese Ghetto, in JDC Press Release, January 24, 1946. 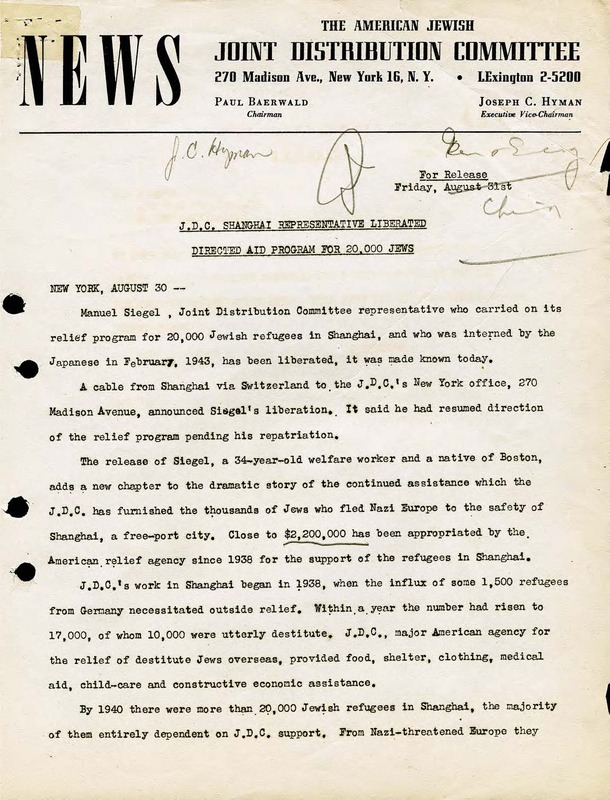 Twelve thousand refugees in Shanghai Depend on JDC, UNRRA Aid, Jewish Army Chaplain Reports, in JDC Press Release, June 14, 1946. 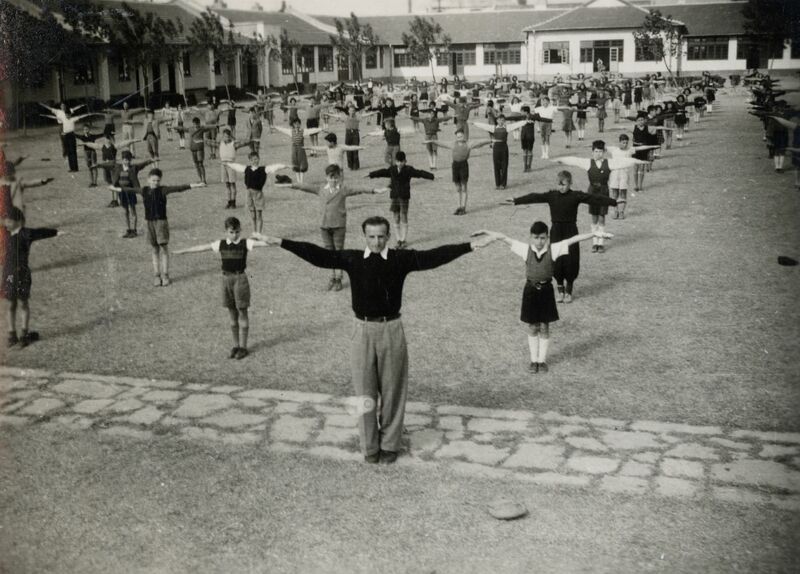 PE class at Shanghai Jewish Youth Association School (SJYA School). JDC staff serving meals to refugees in a soup kitchen which feeds 8500 refugees twice a day. Snack time at the new nursery school, or SJYA school (populary known as the Kadoorie School) supported by the JDC and the Shanghai Jewish community. Shanghai Ghetto (2002), a documentary film that includes interview footage with Laura Margolis and former refugees who were in Shanghai. 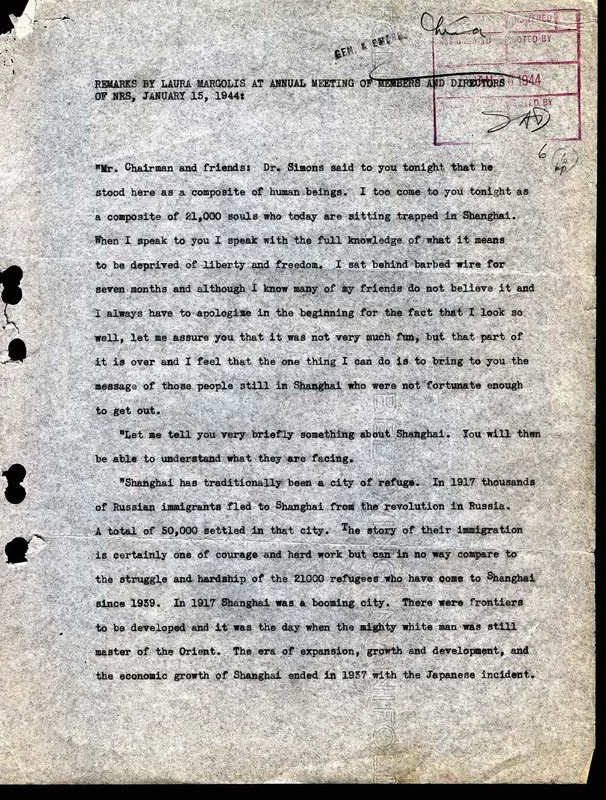 For historic lists relating to Jewish refugees in Shanghai, please see the Archives’ Names Database, which includes lists of rabbinical students who fled Lithuania and German Jews escaping via the TransSiberian railroad to Japan and China. 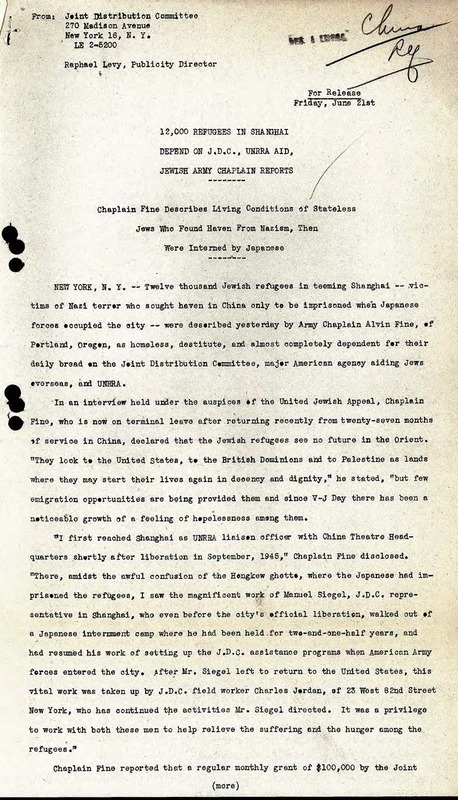 Please also visit the National Archives and Records Administration’s page on the recently declassified Visa Investigation Records of the Shanghai Diaspora Communities, 1946-1951, which includes information on JDC’s role assisting Jewish refugees in Shanghai during and after the war.